Is it the right time to go for a home loan now? There is some good news for house-hunters who have been dreaming of buying their dream home. There is some good news for house-hunters who have been dreaming of buying their dream home. The Reserve Bank of India (RBI) has recently reduced the risk weight on certain categories of housing loans sanctioned on or after June 7, 2017. The risk weight is the amount of capital set aside by the banks against such loans. The RBI has also reduced the standard assets provisioning rate on these loans from 0.4% earlier to 0.25% now. Both these decisions will make home loans cheaper by lowering the interest rates and, thereby, reducing the interest outgo of the home loan borrowers. The RBI has also increased the loan-to-value (LTV) ratio for various slabs of loans sanctioned. The LTV is the ratio of loan amount sanctioned to the value of the property. Accordingly, the LTV for loans up to Rs 30 lakh can be up to 90%, for loans between Rs 30 lakh to Rs 75 lakh the LTV will be 80% and for loans above Rs 75 lakh, the LTV will be 75%. For loans up to Rs 75 lakh, the risk weight will be 35%, and for loans above Rs 75 lakh the risk weight will be 50%. As a response to this move by the RBI, the State Bank of India announced reduction in interest rates on home loans above Rs 75 lakh by 10 basis points. Other public sector and private sector banks too have followed suit and, as a result, the home loan interest rates have been reduced. 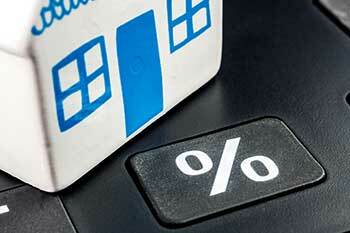 Depending on the amount of loan sanctioned, the interest rates currently range from 8.4% to 9%. However, since the properties rates are still quite high, home buyers have to make a choice whether to take advantage of low interest rates and buy a home at the present juncture, or wait for the property rates to come down to a reasonable level and then go for their dream home.